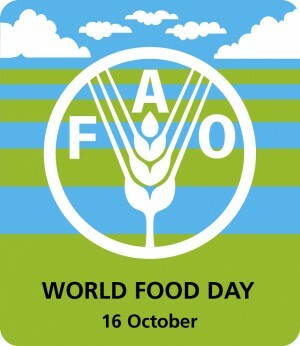 The 39th Committee on World Food Security celebrated World Food Day today in Rome. This morning’s ceremony featured speeches from UN Secretary-General Ban Ki-Moon, Executive Director of the UN World Food Programme (WFP) Ertharin Cousin, Director-General of the FAO José Graziano da Silva and Pope Benedict XVI, whose message was delivered by Archbishop Luigi Travaglino. This theme was chosen to highlight the many, concrete ways in which agricultural cooperatives and producer organizations help to provide food security, generate employment, and lift people out of poverty. For FAO and its partners, agricultural cooperatives are natural allies in the fight against hunger and extreme poverty. Every day, small producers around the world continue to face constraints that keep them from reaping the benefits of their labour and contributing to food security not only for themselves but for all through active participation in markets. Ban Ki-Moon also acknowledged that agricultural cooperatives “are invaluable in our aim to double the income and productivity of smallholder farmers”. Individually, these smallholders have little power. But when they join together, they have greater purchasing power. They have greater bargaining power in the marketplace. And they have greater power to influence the policies that affect their lives. In a world of plenty, as long as one child dies of hunger or suffers from malnutrition, our work is not done yet. And there is nothing to celebrate. The 39th Committee on World Food Security will continue until the 20th October 2012.